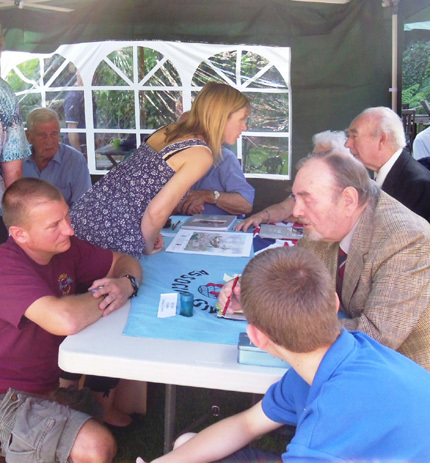 Thanks to a warm and pleasant sunny day on Sunday 9th September 2012, it was possible to hold the planned RAF pilot’s signing event outside in the Museum Teagarden. Shoreham had the tremendous pleasure in welcoming Rodney Scrase DFC, Ron Pottinger, Sid Beaver and Sydney Pigden. It was a privilege for visitors to chat with and learn many amazing tales of the air first hand from the veterans themselves. Jack Christianson, who was unable to attend on the day, is hoping to come along to the ‘Bomber Boys’ signing event on Sunday 30th September 2012. A late afternoon treat appeared in the sky above Shoreham when a Biggin Hill based Hurricane and Spitfire performed several circuits of the area prior to their landing at the not-too-distant airfield – an always wonderful sight and sound. The Museum was delighted to receive a visit from Ron Liversage MBE (Mil), a veteran RAF air gunner who flew in Vickers Wellingtons from the besieged island of Malta and with the Desert Air Force in North Africa. 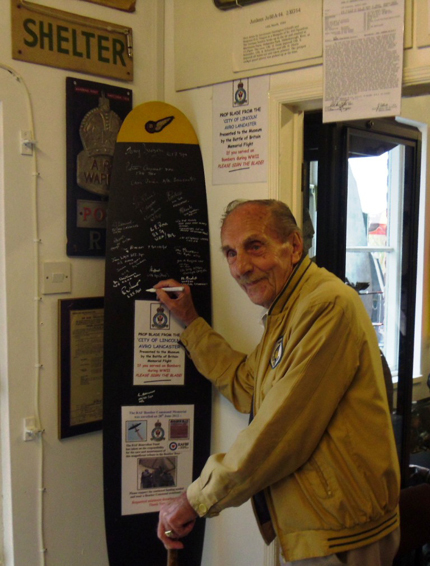 He later flew operationally in Europe with the Avro Lancasters of 625 Squadron and he was delighted to sign the Museum’s Lancaster propeller blade. 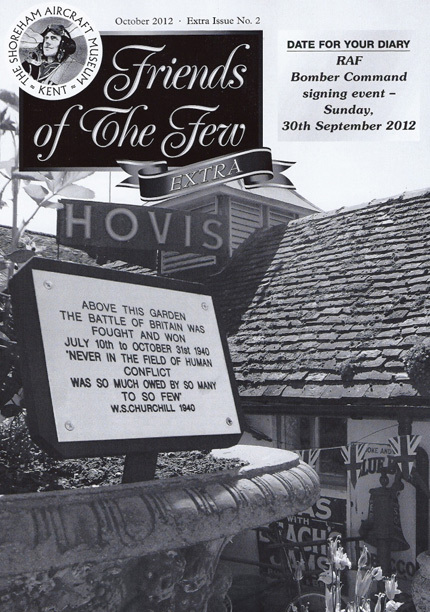 Ron is kindly returning to Shoreham to attend the ‘Bomber Boys’ signing event on Sunday 30th September 2012. He’s quite a character and will be a joy to meet. You are currently browsing the Shoreham Aircraft Museum – News archives for September, 2012.